The complete list of signatories can be found on the press release. Don’t forget the prefrontal.org post from last month on brain training. Last Monday I had the opportunity to participate in a response panel as part of the Cottage Rehabilitation Hospital series on Empowerment Through Medical Rehabilitation. This year they brought Dr. Michael Merzenich in from UC San Francisco. Dr. Merzenich is an expert on neuroplasticity and is also the founder of several companies dedicated to cognitive enhancement through training. He is a research powerhouse, with hundreds of publications and a CV that is probably taller than I am. His most famous startup is likely PositScience, which you can find at the site brainhq.com. Dr. Merzenich gave a great 80-minute talk to a crowded room. His talk was pretty similar to others that I have watched on YouTube, so if you are curious about his research you might head over there. Here is a link to his Google TechTalk, which was quite good: http://www.youtube.com/watch?v=UyPrL0cmJRs. What follows are some elaborations on the points that I had prepared for the response panel. They are all my opinion, occasionally backed by specific citations and research. They are deliberately intended to be controversial, which will hopefully make for interesting reading. Developmental psychologists and neuroscientists have known for some time that the brain was plastic and responds to its environment. After all, we research a period of life that is highly plastic, with a four-year-old brain having 10x as many connections as it will later in life. Changes in the brain of a child are sculpted by a mixture of genetic predisposition and environmental context. That is, some changes are hard-wired and will happen no matter what, while other changes are in response to the environment. Even later in life it is recognized that the brain can change its structure and function and adapt to its surroundings. Among others, milestone neuroimaging studies investigating structural differences in the brains of London taxi drivers (Maguire et al., 2000) and changes following learning to juggle (Boyke et al., 2008) validated everything that we already knew: the brain is not a static organ. In that context brain training isn’t a revolution in our understanding of the brain, but a new method to mold that plasticity in the direction of our choosing. The vast majority of functional neuroimaging is done with a defined cognitive task. The investigator will look at the relative difference in activity between different conditions of the task to determine indices of activity. A more recent investigative method, resting state imaging, is different. The subject is given no instructions, other than to sit quietly in the scanner and clear their head to the best of their ability. From the data collected during this scan you can begin to look at which brain areas have correlated activity, indicating that they tend to work together. By doing scans before and after a specific intervention,you can then learn about which functional networks are affected by treatment. So, what have we learned from these studies? Everything changes the brain. Everything. The Neuroskeptic had a great argument in a recent blog post, which is that even the act of opening your eyes can have a dramatic influence on the state of the brain. This can be seen even in commodity EEG equipment as a change in power in the alpha band. He was discussing a recent study that found a single dose of an antidepressant can have a significant effect on functional connectivity in the brain (Schaefer et al., 2014). There seems to be an approximate 50/50 split in terms of what determines your intelligence. About half comes from your parents in the form of your DNA. The other half comes from the sum total of all experiences you have ever had in your life, including brain training. This is great, because it means that we have a lot of leeway to push our cognitive abilities around. Make positive changes and you will see improvements, make negative changes and you will see degradation. A second point should be made here though, which is that each of us carries genetic predispositions that will be difficult or impossible to change through training. One extreme example of genetic factors at play is in psychopathy. There is evidence that it is difficult or impossible to rehabilitate true clinical psychopaths. I never got a chance to ask Dr. Merzenich about this counterexample. I have to believe that he would say that even clinical psychopaths could benefit from brain training. I have a different view, which is that a certain percentage of our cognition is hard-wired, and may or may not be able to be changed. Some of us have burdens that cannot be trained away. We typically look at the results of an fMRI study, see the blobs, and immediately assume that the entire group of research subjects must have been using those areas of the brain. This is somewhat true in terms of the statistics, but there is a richer story to be understood. First, some subjects do not show increases in activity, and some even show reductions in activity! Further, the patterns of activity across the rest of the brain will often be wildly different from one individual to another. My postdoc advisor, Michael Miller, has done a lot of research on this, going so far as to call each person’s pattern of activity a “neural fingerprint”. What does this mean for brain training? Well, if everyone is using a highly varied mix of functional networks as they navigate a cognitive task then we would likely expect to see a highly varied response to brain training as a consequence. For example, if you leverage executive working memory to a greater degree than I do while completing a task and we then complete a working memory brain training program then you would likely demonstrate a greater benefit than I would. One issue I had with Dr. Merzenich’s talk was his assertion that every ability could be improved at any age. This is a very strong argument. He cited an animal study which showed that cognitive training in rats led to a range of behavioral and physical improvements, right down to improved immune function. Knowing that each individual human could have a different response to each form of brain training, I would put forward that most cognitive abilities could be improved using brain training. I would further argue that there will be a varied generalization of brain training to other tasks that remain untrained. It will not always be immediately apparent which functional networks in the brain should be targeted with brain training to derive a practical cognitive benefit. This will be particularly true as you try to train cognitive abilities that lie higher and higher in the hierarchy of function. For example, how would you train an adolescent to better handle risky situations? The common refrain here would be to train inhibitory control, so that the teen could better inhibit a prepotent response. That may have some benefit, but evidence is accumulating that one representation of social risk is modeled by an ‘as-if’ loop, which attempts to predict body and emotional state following a decision (Preuschoff et al., 2008). It may be that something like mindfulness meditation may be more beneficial here relative to brain training (but I am only guessing). * Why aren’t more people using brain training? Dr. Merzenich suggested that there were immediate benefits following brain training that lasted for years, transferred to other cognitive abilities, and had a significant effect size. He argued that brain training was the logical path to enhanced cognitive capacity and cognitive rehabilitation. Sounds persuasive, yes? If all of that is true, then why isn’t every hospital and school clamoring for access to the training programs? Insurance companies aren’t fools, contrary to the opinion of most Americans. If they can obtain the same benefit from $1k of brain training instead of $10k of traditional treatment, do you not think that they would be pushing doctors to prescribe it? What’s the hangup? I bring this up mostly because I think that social interaction is a critical part of our daily lives, and I see it as critical during the rehabilitation process as well. Which patient has a better overall outcome: the one who does brain training alone at home twice a week or the one who sees a therapist for training twice a week? My money is on the latter. I say this not only for the obvious emotional benefit of social interaction, but because navigating the social landscape is one of the most cognitively difficult tasks that we, as humans, accomplish. I think that much of the benefit that comes from the brain training has relatively little to do with the tasks that are presented and more to do with the progressive difficulty of the software that drives them. One major point in Dr. Merzenich’s talk that deserved additional attention was that there was very little benefit to be had with brain training if the participant is not adequately challenged. That means that the task cannot be too difficult, causing frustration, and cannot be not too easy, meaning no benefit. Instead, you want the participant to get the majority of trials correct (~80%) and still have room to grow. 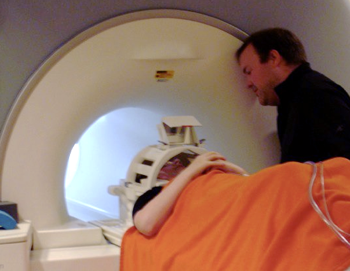 When I was in grad school my roommate dropped me in an MRI scanner for 2.5 hours to complete a mildly complex task. To answer your questions, yes, I did that task for over two hours and, no, it was not fun at all. What the data showed at the end was fairly amazing though. At first, when the task was difficult, I had to utilize a range of frontal and parietal resources to complete the task. It took effort. Two hours later, when I didn’t even have to think about the task anymore, the majority of activity was subcortical. It had become automatic. We may not get a lot of cognitive benefit out of social interaction because we are already experts in social interaction. Likewise, when you first start doing crosswords everyday you will likely see a cognitive bump, but as you get better at crossword puzzles the marginal increase you see will diminish. This is the secret sauce of brain training. If you had a set of crossword puzzles that increased in difficulty as your skills improved I think that you would continue to observe improvements over time. First, I haven’t read the entire body of literature on brain training, so I am limited to the handful of papers that I have reviewed. One consistent thread that I have observed is that the training can offer improvements that confer long-term benefits on a scale of many years. Still, the effect size of the studies I reviewed isn’t always huge. A recent study by Wolinsky et al. (2013), showed an effect size of around 0.25 for most of their training, as indexed by the Cohen’s d statistic. This was across several experimental conditions one year after the initial training. Another, larger study from the NIH found that cognitive benefits can stay around for over a decade. The Advanced Cognitive Training for Independent and Vital Elderly (ACTIVE) study followed 2,832 participants for ten years following an initial six-week brain training program (Rebok et al., 2014). After ten years approximately 70% of subjects in the training group were above their initial performance baseline. This is relative to 50-60% in the control group. The effect sizes varied depending on the condition, but ranged from approximately 0.20 to 0.50. Head on over to the Cohen’s d effect size interpreter at http://rpsychologist.com/d3/cohend/ and look at the overlap of the treatment and control group distributions for a d of 0.2. Yeah, there is a benefit, but there is not a dramatic shift. Effect sizes of 0.5, which were observed in the ACTIVE study, are better. Still, you are not jumping several standard deviations up the curve. The authors of both studies discus that the practical effect of brain training is a 2-7 year delay in certain aspects of cognitive decline. Again, not super huge. You are not turning a 70-year-old brain into that of a 30-year-old. Still, when I am 70 I will take any improvement I can get. It is no secret that I am a huge fan of exercise and mindfulness meditation as ways to improve your brain. Many of the points in my impromptu post on running still ring true, and there is an increasing body of evidence that exercise, nutrition, meditation, sleep, and medication can improve the function of the brain. Dr. Merzenich accepted that these had positive influences, and mentioned them early in his talk. Still, he was somewhat dismissive of their ability to significantly improve cognition or aid in rehabilitation, saying that they formed part of a “complete package” of rehabilitation. I took strong issue with his stance on this issue. He stated that exercise and nutrition provide “essentially no benefit” relative to brain training on the tasks that they had investigated. I have a hard time completely believing that, especially given the range of benefits that have been published in scientific literature. Brain training has a huge buzz right now, and a number of startups have been founded provide brain training tools. PositScience is not alone in a market that includes Lumosity, Cogmed, CogniFit, LearningRx, and many others. Which ones really work? How many programs are just peddling mildly difficult games with an advertisement that it improves the brain? I sleep better at night knowing that Dr. Merzenich is the Chief Scientific Officer of PositScience, but how many companies do not have a solid scientist at the helm, or the research to back up their claims? Brain training certainly has some effect. Further, there is very little downside to using brain training tools. The only possible negative I could see is the opportunity cost. We all have a finite amount of time during the day, and if you are in your back office engaged in brain training instead of exercising or interacting socially then you may be missing out on other ways to improve your cognitive function. I am most excited about the market for realtime feedback on cognitive performance based on neuroimaging data. Christopher deCharms has been doing a bit of this using realtime fMRI to help control pain in patients. He founded a startup, Omneuron, to investigate this technique and capitalize on it. What I would like to see is a consumer-grade EEG system (like the Emotiv headgear) that integrates realtime brain state with brain training. I think that this is really the Holy Grail, because you are no longer basing the progressive difficulty of a task on the behavior of the trainee, but instead you could potentially increase difficulty based on the actual cognitive load. 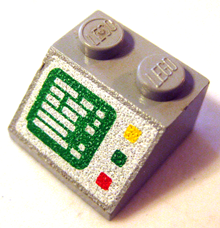 This Shellshock vulnerability in the Bash shell is a nasty, nasty thing. It could allow for an attacker to remotely execute code on a server, leading to who-knows-what kind of consequences. How rude! I tested the prefrontal.org server and found that it was indeed vulnerable. I took this as an opportunity to start fresh, and updated to a new version of Debian Linux on a new server. Let me know if anything remains broken, but we should be good to go at this point. Cottage Rehabilitation Hospital is a local Santa Barbara institution dedicated to providing care for survivors of stroke, brain and spinal cord injury, orthopedic injury and other disabling conditions. To support this mission they have an annual presentation series titled “Empowerment through Medical Rehabilitation”. Each year they bring in amazing speakers to present on a topic related to medical rehabilitation. This year they are having Dr. Michael Merzenich present. If you are anywhere close to Santa Barbara on Monday, September 22 I would highly encourage you to swing by and see Dr. Merzenich’s presentation. He is a world-renowned expert on brain plasticity, particularly in the context of cognitive rehabilitation. I have the honor of serving on a response panel following the lecture, which I am particularly looking forward to. It should be a really fun evening. You may have noticed that I haven’t posted anything of neuro-subtance since, oh, January 2012. Well, between you and me, there is a perfectly good reason why that is the case. 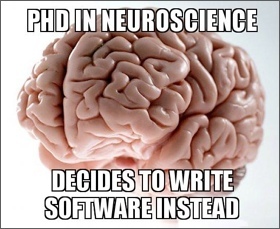 That was about the time I completed the paperwork to end my neuroscience career and begin a new adventure in private industry as a software engineer. The short version is that my wife and I have decided to make Santa Barbara, California our permanent home. Given that the postdoc is a temporary position usually lasting less than five years, the time was coming soon to move on up to being a professor or move on out of academia. After much deliberation, I have chosen the latter. I opted not to announce the transition publicly for some time in case I changed my mind, or if the new position didn’t work out. I figured I could always head back to research as long as nobody noticed I had temporarily left. Now, here we are, almost two years later and I have neglected to let you, my closest internet-friends, in on the big news. How terrible! It’s not that I can’t handle the continuous funding chase, but it is a bitter struggle. The situation isn’t getting better either. Would you want to place a bet on whether success rates are going to fall below 20% or rise back to 30% as we move forward? Further, if a grant falls through, and there happens to be a gap in funding coverage, then my paycheck would simply cease to exist. Working for a private employer may be ‘at will’ employment, but the chances of a negative outcome may be far lower than rolling the dice with the NIH, NSF, or other funding agency every few years. The lab that I was working in experienced just such a shortfall this last year as the federal sequester hit the campus. The lab was funded primarily by funds that, filtered through other agencies, came from the U.S. Army. When the sequester arrived, lab funding took a double-digit drop. My postdoc advisor was hard pressed to pay people’s salaries. Data acquisition stopped and everyone just had to hope that they had enough quality data to publish/graduate. That is a scary proposition. (c) Compensation. The postdoctoral researcher is seen as a training position where you are learning important new skills and scientific perspectives from the principal investigator that you work for. Based on the salary data I collected as part of my job search, postdocs are typically getting paid a (literal) fraction of their value in private industry. This, again, tends to get better when you become an assistant professor, but it can take a while to climb the ladder. I would have received a bit of a bump if I would have gone into a research faculty position, but it paled in comparison to the, um, significant increase I negotiated as part of my new software development position. (b) Lifestyle. Part and parcel of academia is the fact that everyone is constantly moving around. Your best friend today may or may not be in the same town with you next year. While this stabilizes a bit when/if you finally land that coveted assistant professor position, the time leading up to that point is defined by flittering around the country. First you head off to grad school, then off to a postdoc, then to who knows where. I know some individuals who are on their fourth city in ten years, with another move on the way. For some this is exhilarating, as you are essentially getting paid to see the world. For me it has been harder, constantly making incredible friends and then having to say goodbye. I now have friends stretching from Washington, to Maine, to Florida, and back to California. It was finally time to stop flying around and put down some roots. The other lifestyle point is that my wife and I have really fallen in love with Santa Barbara, California. The weather is amazing. 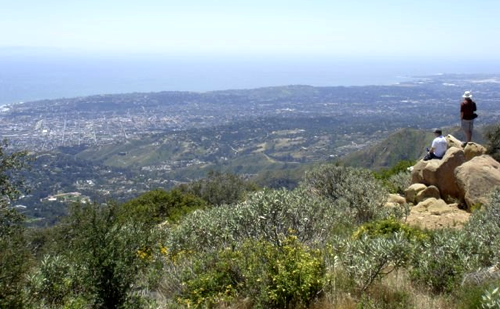 We are able to live two blocks from the beach and an eight minute drive to hiking in the mountains. I am able to commute by bike almost every day of the year. These geographical and climate features are fantastic, but beyond that is the fact that we have met some amazing people in Santa Barbara, and it just feels like home now. I don’t want to say goodbye, and now I don’t have to. (a) Schedule. Being able to set your own schedule is an incredible benefit of the postdoc. I am a nightowl by nature, so working 10am-6pm with another hour or two of reading in the late evening suited me perfectly. Working an 8-5pm job is not really my cup of tea. The flexibility to take time away from work was also fantastic as a postdoc. I had some genuinely awesome travel and volunteer experiences that I might have never experienced in a regular job, including trips to Hawaii and several excursions to Europe. Now I have to hoard my ATO days like they are bars of gold. (b) People. I have met some of the most genuinely awesome people in my years as a researcher. There is something truly magical about a group of people who have similar interests and come together for a common cause. I found that special kinship in graduate school, my postdoc, and also with the larger community of cognitive neuroscientists. Even though I am leaving neuroscience professionally, I will always identify with this cadre of individuals who brand themselves ‘neuroscience geeks’. While there is some of this kinship in my new position, there is an overriding sense that many folks are just punching the clock. (c) Academic Freedom. You are at the mercy of your postdoctoral advisor to a point, but at the end of the day you have an awesome job where, for all intents and purposes, you are getting paid to think. How absolutely freaking incredible is that? You know that one thing that you are most curious about? Here is some money to learn everything you can about that one thing and then here is some more money to find out the answers to questions we don’t even know to ask yet. I won’t lie to you – I miss it all. Frequently. Well, I am working for a small scientific instrumentation company in Goleta, California that goes by the name [redacted]. Well, I could tell you their name, but I would need to obtain prior approval from my corporate overlords (no joke). I work as a firmware engineer in the software group, helping to maintain the embedded applications that drive the instruments. As a neuroscientist, the best part of my week was spending an entire afternoon writing a gnarly MATLAB script. Now, I get to do that every day. I could not have hoped for a better place to end up after falling out of the Ivory Tower. I have had a really, really great run as a professional neuroscience researcher. Great friends. Great research. Amazing conferences. Deep debates on the nature of of the brain and cognition. An Ig Nobel award! I credit any success I might have had to the wonderful mentors who took me under their wing, and to the long list of quality people I have encountered on my academic journey. I love cognitive neuroscience and scientific exploration more than I can adequately put into words. Still, I was not content to let the sunk costs of a graduate education dictate my future actions, especially when other options are now a better fit for my personal and professional goals. Not all research findings make their way out of the lab. Sometimes they can get snagged on the way out the door. The reasons for this can range from funding, to politics, and even simple forgetfulness. Below is an abstract that I have been sitting on for over two years. It details an analysis that we conducted of the full fMRI Data Center (fMRIDC) archive. All datasets in the archive are from published manuscripts, so the analysis was an investigation of both fMRIDC archive quality and the quality of data used for publication in the early 2000s. Unfortunately, I don’t have the time or resources to do much more with it, so I will release it here in the hopes that our existing work might be of some utility. The fMRI Data Center (fMRIDC) was founded as a large-scale repository for functional neuroimaging datasets from around the world. Since its inception the archive has grown to hold 122 fMRI datasets from a diverse array of cognitive domains. For years these datasets have been made available at no cost to any interested party. Within the last 12 months there have been 543 requests for 725 datasets coming from a mix of 60% domestic and 40% international sources. The goal of this project was to investigate data quality across the entire fMRIDC archive by holding each study up to the same stringent examination criteria. We hoped to determine what percent of studies could adequately be reused in a larger meta-analysis of functional imaging data. We examined each of the 122 datasets contained in the fMRIDC archive. Initial criteria for inclusion required a dataset to contain functional MRI data in normal human volunteers. This eliminated all studies with only anatomical data, nonhuman data, and all clinical datasets. Further criteria for inclusion required datasets to have whole-brain coverage, no anomalous signal dropouts, no severe MR artifacts, and a minimum group size of 8 subjects. This eliminated all studies with gross data quality problems. It should be noted that only studies with data problems across all subjects were excluded on this basis. A single subject with bad data would not lead to disqualification. Across all datasets we found that 48% of studies in the fMRIDC archive had issues that prevented their reanalysis. The most likely reason for exclusion was missing fMRI data (19 studies), with the second most likely reason being missing study metadata (11 studies). These issues have nothing to do with the data themselves, but center around problems related to acquisition of the data in a complete set. Other issues we found that would prevent the reuse of data included incomplete brain coverage (9 studies), corrupt/blank data (6 studies), data with severe visible artifact (6 studies), experiments with less than 8 subjects (5 studies), nonhuman data (2 studies), and experiments with only anatomical data (1 study). This project represents the first step in understanding how data quality varies across a large sample of fMRI studies. From this analysis we can conclude that only about half of the studies met our criteria for further reanalysis. Still, the figure of 48% should not be taken as an indicator of quality across all fMRI experiments in the literature. The vast majority of issues had to do with the challenge of acquiring datasets and study metadata from the original authors. Steve Jobs died today. I found out while I was on the bus as I came home from work. He was a technology pioneer to be sure. Certainly one of the most effective CEOs to come around since the title was invented. Through his leadership a stream of amazing and beautiful devices were released to the public, turning Apple from a company on the verge of bankruptcy to one of the most profitable in the United States. From his early work on the Apple I to the wildly successful iPhone 4, he revolutionized the daily life of billions of people around the world. I felt a strong feeling of loss when I heard that he had died. It came from the untimely departure of a man who I had never met, but nevertheless saw fit to draw personal inspiration from. Why was I drawn to Steve Jobs? It was his idea that all details matter, even down to the individual pixel. It was the notion that even the intangible minutiae will impact our perception of an object, like the exact radius of a corner or the amount of friction on a piece of glass. It was the mandate that you aren’t finished until you pour a piece of your soul into your creation. So many of my own greatest accomplishments have been done using tools that once existed only in his mind. Steve Jobs made me want to be a better creator, and a better person. Before I heard the news I had spent the afternoon working through a book on Objective-C, the programming language used in the creation of Mac, iPhone, and iPad applications. I got an itch to do some OS X programming the night before, but I needed a refresher on the syntax of the language to get going again. 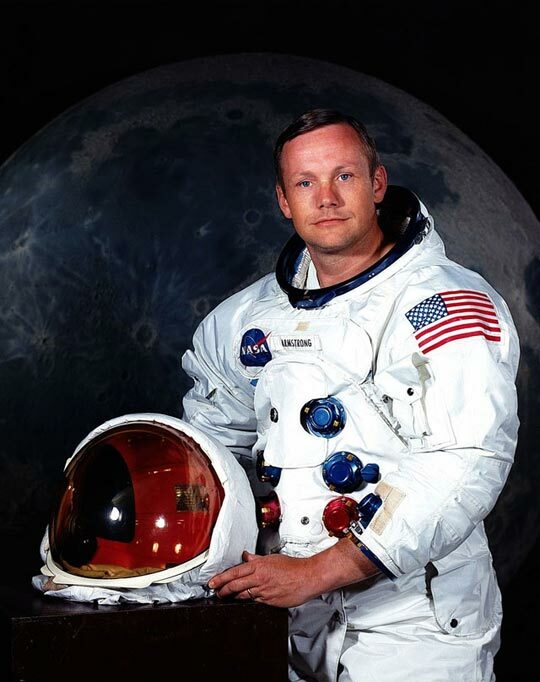 In hindsight, I can think of no better tribute to the man than spending the day becoming a better programmer, honing my skills to one day create something insanely great. Stay Hungry. Stay Foolish. Thanks Steve. 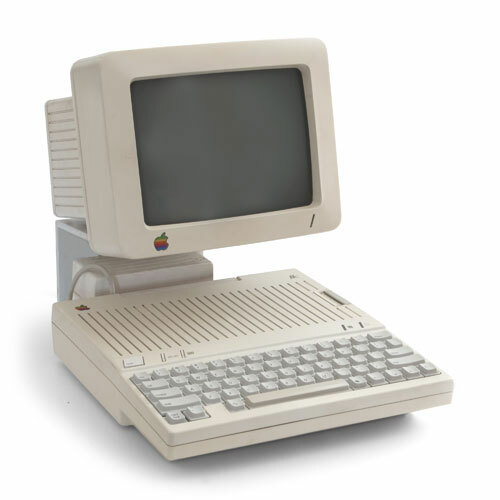 Above Image: My first computer, an Apple //c. I am pretty sure that Steve didn’t have a hand in how it looked.